In direct response to a call by the Obama administration for innovations in the conservation of domestic waterways earlier this year, the National Oceanic and Atmospheric Administration (NOAA) and its partners on Aug. 16 unveiled a comprehensive forecasting model to predict the movement of rivers and streams across the continental U.S. 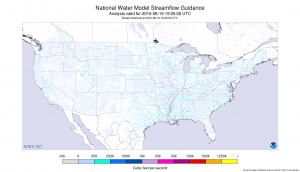 The National Water Model (NWM) uses data from more than 8000 U.S. Geological Survey stream gauges to generate hourly water flow forecasts covering about 2.7 million locations across the country. 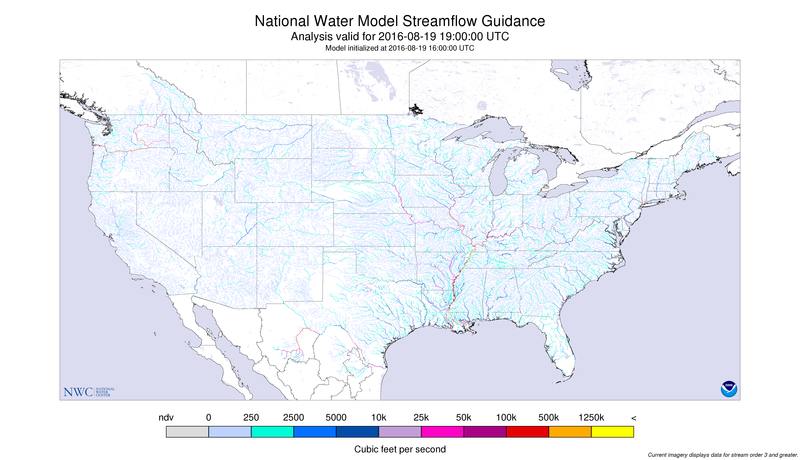 This model represents a dramatic improvement to previous NOAA prediction models, which could forecast streamflow for only about 4000 locations every few hours. Driven by a high-powered supercomputer, the NWM will simulate the water cycle while taking into account diverse elevations, soil and vegetation types, average precipitation for the area, and any number of other site-specific factors in an attempt to predict flood events. NOAA developed this model in close collaboration with the National Center for Atmospheric Research, the National Science Foundation, and others. The resulting up-to-the-minute information provided by the NWM will be an invaluable resource for stakeholders including flood emergency responders, reservoir and utility operators, farmers, and legislators. The NWM, which will undergo an experimental evaluation period until mid-June 2017, initially will be used to provide basic information for previously unserved areas, and to predict flash floods in the most at-risk areas in the continental U.S. Operators hope that the model eventually will be able to process more data to enable street-level streamflow mapping and predictions of water quality. Although preliminary forecast data may be incomplete, current and future stream system maps will be available for viewing here.